Whenever I have to buy a new toothbrush I stand in front of the toothbrush shelves at the supermarket for about 5 minutes. My internal monologue is achingly mundane: Oooooh, $10 for a toothbrush is a bit much! I wonder what’s on special? Ok, $6.95, that’s better. But I prefer the blue one at $8.95…..
It’s a disgustingly intense dialogue for such a simple thing. I should just buy the $8.95 one – after all, I have no problem in spending $9 for a glass of wine at a bar, and that only lasts a few minutes. On the other hand, a toothbrush lasts for a lot longer than that and is pretty critical in providing me with important dental benefits. There are other examples. For instance, I’m quite happy to spend $40 on a nice dinner, but it’s more painful for me to spend $40 on a book. Yet the book lasts longer and I can share it with others! I’m interested to hear….what items/services/experiences make you think twice before you buy, and why? What is your toothbrush? I think the double guessing and “mundane thought processes” are to do with what we deem as “worthy” expenditures and also in part directly indicative of the “spoilt for choice” syndrome. Too much to choose from- i am the worst person to attend a food court scenario with, and i am never satisfied with my choice…. I think it’s because you feel like the world is forcing you to buy a toothbrush – you don’t really have a choice about it unless you want rotten teeth – whereas you have a choice about whether or not you want to enjoy yourself eating and drinking, and who doesn’t? I usually go cheapest possible on necessities but I’m not so frugal with my luxuries. I always feel like the $10 toothbrushes must just be a marketing con, and that the $1.50 ones must have something wrong with them and end up in the middle somewhere on about $3.50. 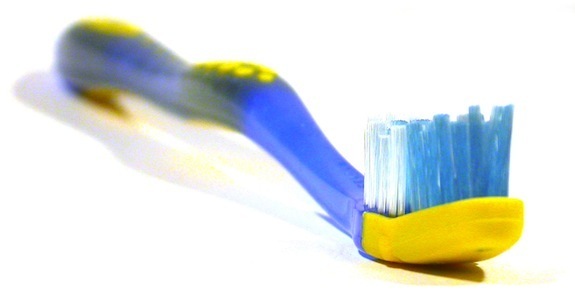 Which could be exactly why the toothbrush companies sell $10 toothbrushes? All good points. Being spoilt for choice and forced into buying stuff is definitely a part of it. And yeah, price doesn’t always mean better but too cheap is off-putting as well so that’s got a part to play also.